When Hillary Clinton announced her first bid for president in 2008, many political commentators deemed it "Bill's third term." Brushing the blatant sexism aside — Hillary is definitely a Madame President, not Madame Marionette — the question remains: What will Bill Clinton's title be if Hillary becomes president? 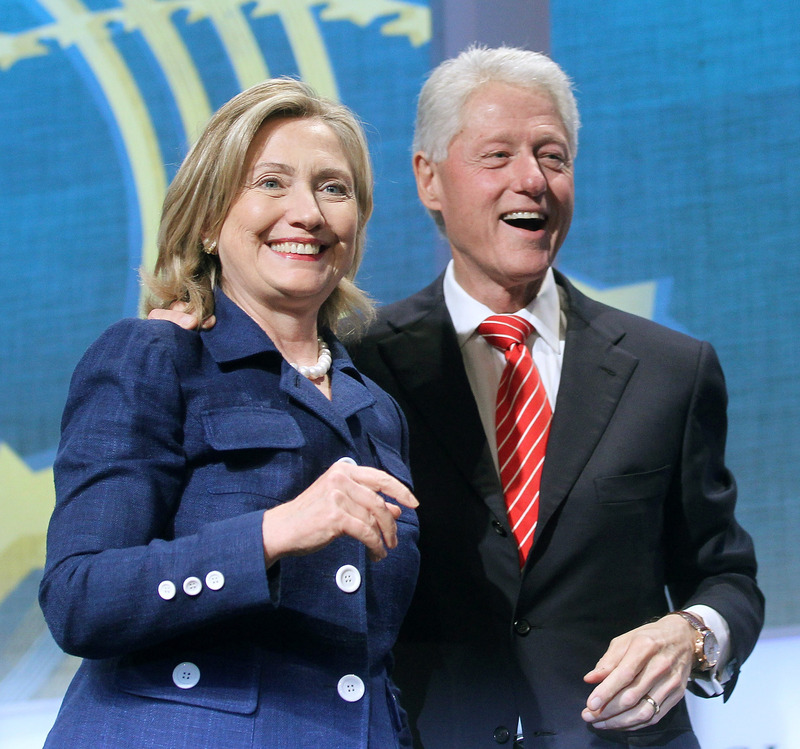 Technically, Bill and Hill could be Mr. and Mrs. President. Although the press refers to past presidents as ex- or former, etiquette calls for retaining the title even after they have left office. So on the Christmas cards we could see a Mrs. and Mr. President on the return address. Isn't that sweet? Okay, but still. What happens when we don't have two presidents at once? Other countries have avoided the issue entirely. German Chancellor Angela Merkel's husband dodges the spotlight completely. Former Irish president Mary McAleese's husband was a doctor, and was usually referred to as such. In the Philippines and India, there have already been First Gentlemen. First Gentleman would be the most natural route for Bill, translating the way that legislators refer to each other on the floor ("gentleman," "lady") to the highest office. But the truth is, there wasn't an official term for the First Lady until 1877, almost an entire century into the presidency. The options ranged from the awesome Mrs. Presidentress to the misinformed Queen. So while it looks like Bill could be our trial run, there's still time to hash these details out. As for Bill's role during Hillary's presidency, it'd be naïve to think he'd have no political involvement. In fact, it would be silly for him not to. Bill has incredible talent and gravitas at your fingertips, and Hillary knows how to use it. During her 2008 campaign, Hillary said she would use Bill as an ambassador around the globe. Plus, strong foreign policy has been a long-standing goal of the Clintons, so Bill would be able to continue a lot of the work that both he and his wife have started, with the knowledge of their previous failures in tow. It's doubtful that Bill, as a former president, would be expected to take on an issue traditional for First Spouses. It's hard to imagine Bill traveling cross country to plant wildflowers or dance to Beyoncé. Instead, it'd be more feasible to see Bill using his political clout to help out Madame President. That has a nice ring, doesn't it?